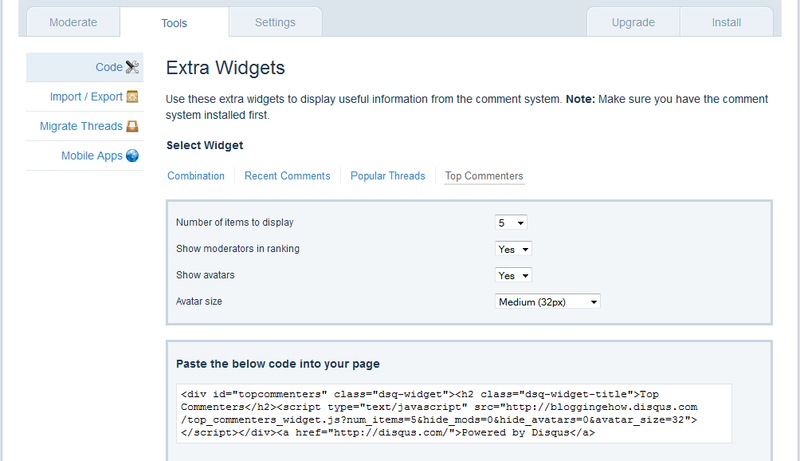 There are many custom top commentators widget around the net but today we will be discussing the Disqus comment system widget. The widget is really nice and shows top commentators with their thumbnails. So lets get started and add it to our blog. Log in to your Disqus account. 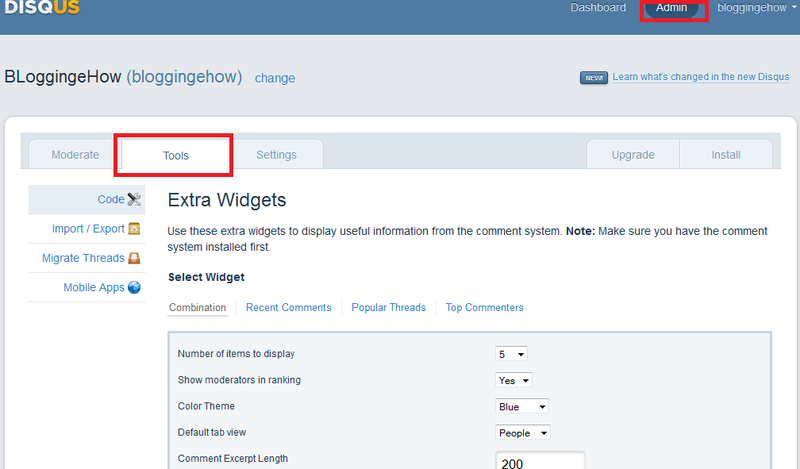 Go to Dashboard >> Your website >> Tools >> Top Commentators Widget. Adjust the settings of the widget as you wish. I would recommend to keep the number of top commentators to below 5. Or if you have many commentators you may choose at-most 10. Once you are done customizing your widget, copy the code.